Summative assessment is a dominant force in undergraduate and postgraduate education. In summative assessment, the focus is on the outcome of the program, to evaluate what the student has learned by comparing them against a benchmark or standard. For this reason, summative assessment is often referred to as high-stakes as it usually carries high point values. Qpercom Observe was created 10 years ago to automate the Objective Structured Clinical Examination (OSCE), used in healthcare education to assess clinical skills of students. It is a time-consuming and often stressful exam to organise, given the logistics and practical delivery of the exam. Depending on the student cohort, it can generate hundreds to thousands of assessment forms. Manual correction and post-exam analysis is extremely time consuming. Observe automated the exam preparation, delivery and analysis, thereby saving on resources (time, financial, people), reducing errors and increasing the reliability of the assessment. All critical savings when delivering a summative assessment. In the context of the challenging OSCE and high-stake summative assessments, being a finalist for this award is especially significant for us. Summative assessment stands between the student and their accreditation. In healthcare training (doctors, nurses, vets, dentists), this accreditation is especially critical as it qualifies the individual to deal with life and death. There is no room for error in clinical assessment. Everything must be correctly evaluated and continuously improved. Observe is the measurement tool that helps to evaluate whether the student is ready for real world practice. Our research and development is focused on correctly measuring these outcomes, to drive the standard of medical education. In clinical practice, as in aviation, you may only get one opportunity to make a critical decision. Creating an e-assessment solution has allowed us to increase quality standards for this critical outcome. 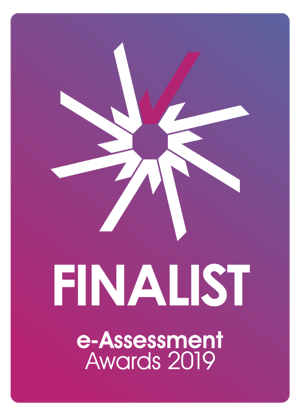 Best of luck to all nominees in all categories for the e-Assessment Awards 2019.